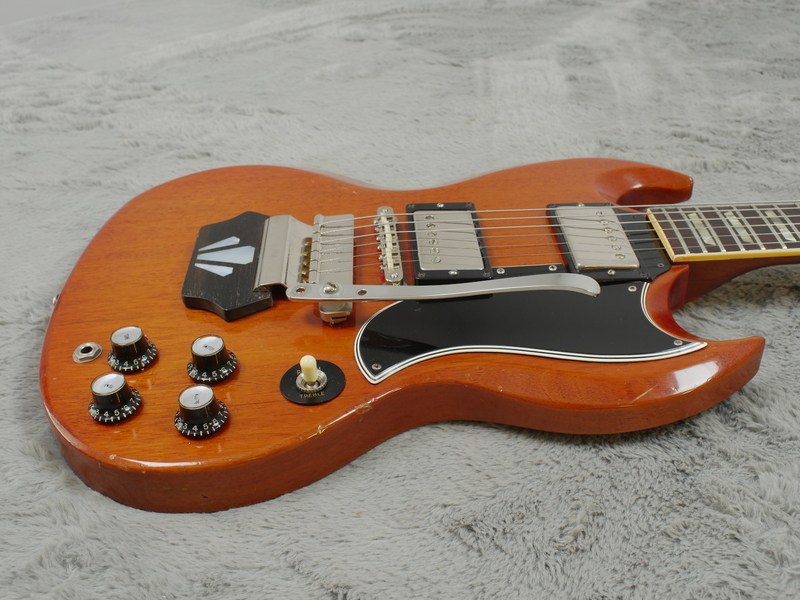 Another gorgeous looking guitar, in our opinion. 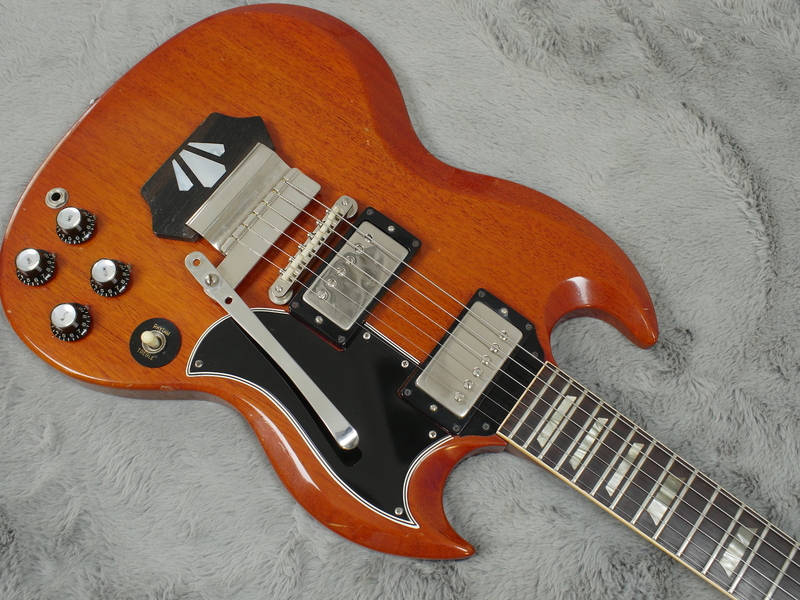 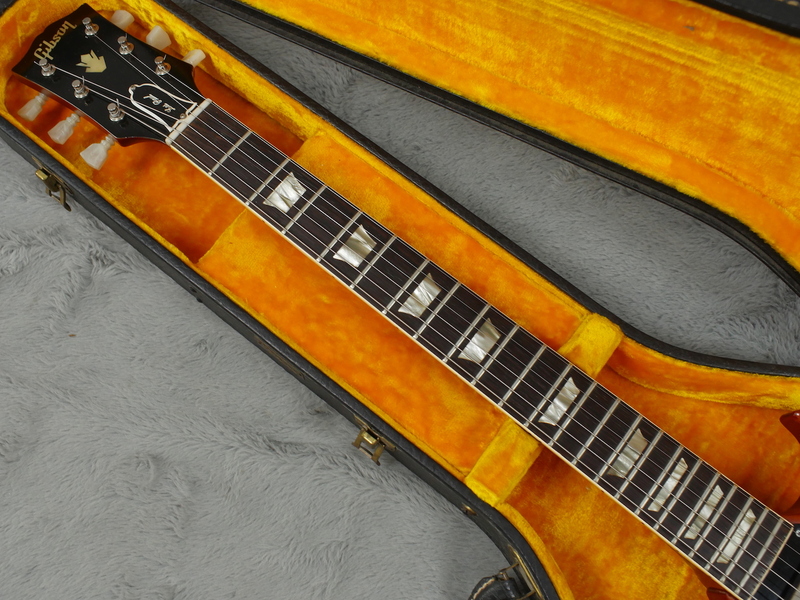 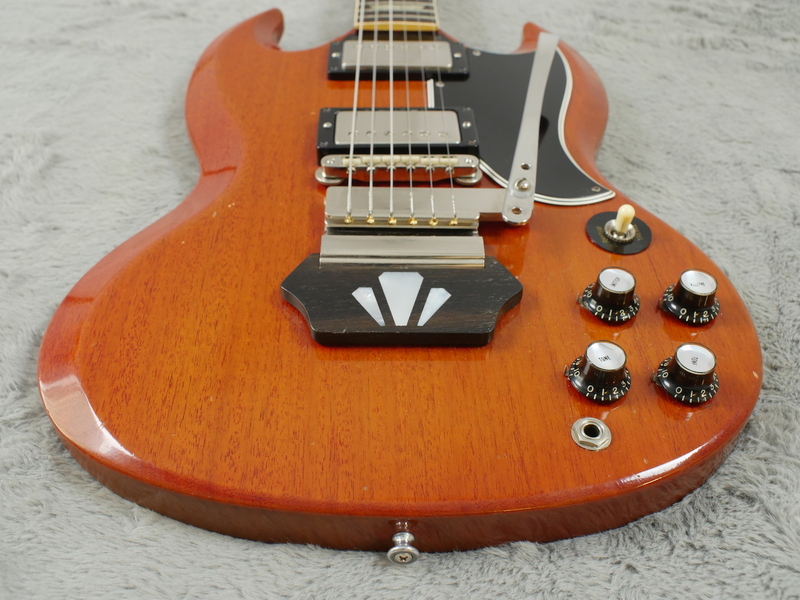 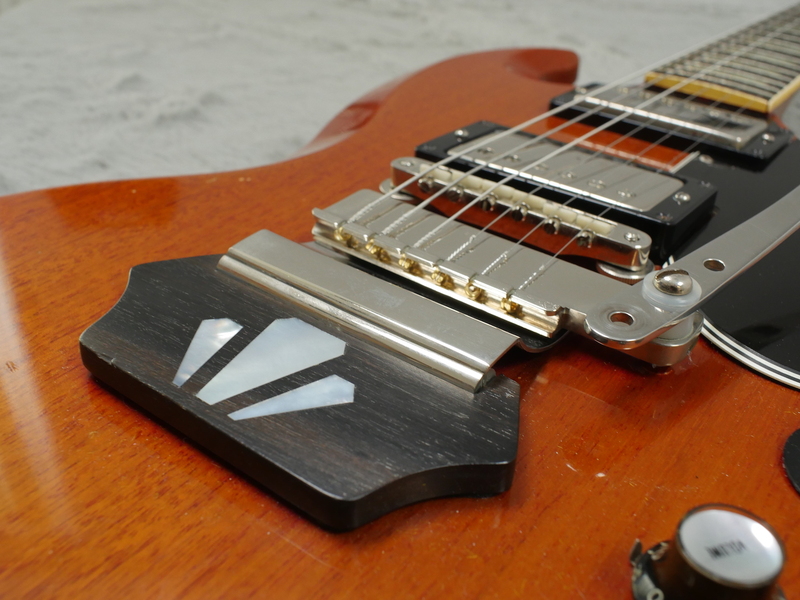 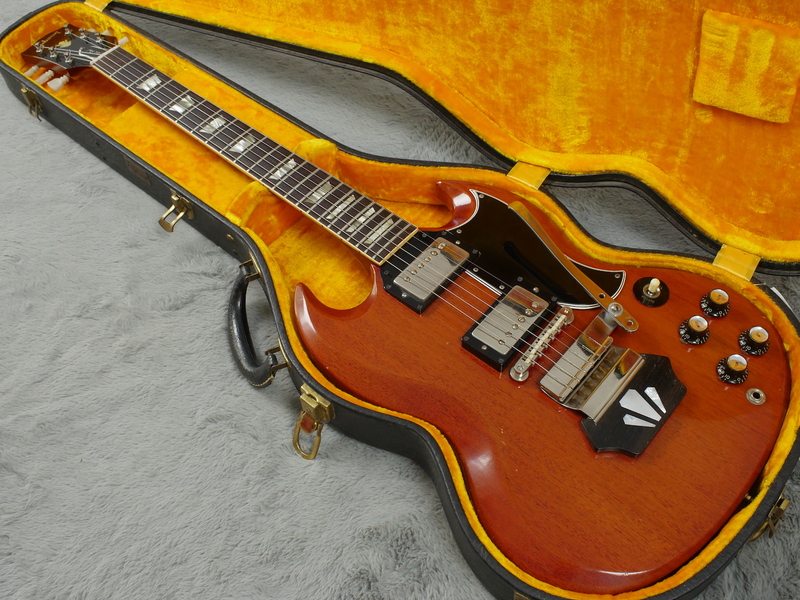 This time it’s a real stunner of a 1962 Gibson Les Paul SG with the rare and desirable, ebony block for the short Maestro Vibrola. 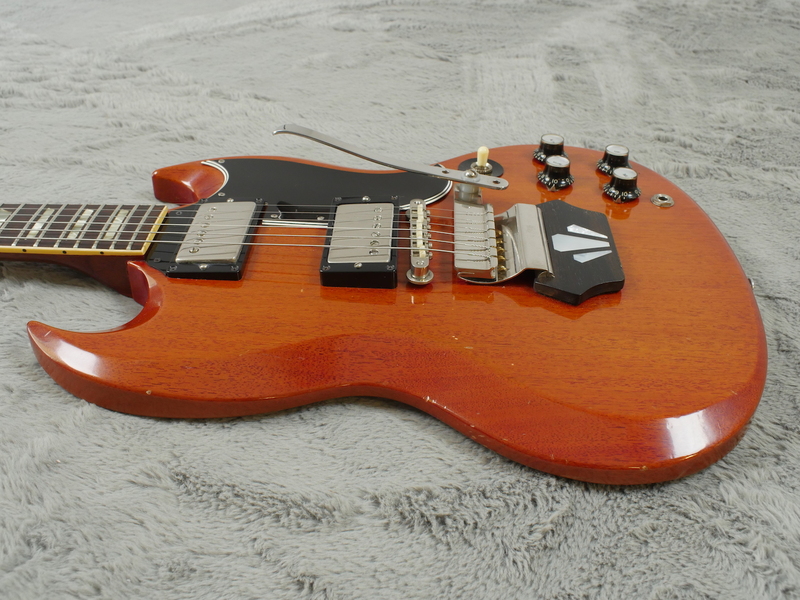 It is a great looking guitar that just happens to play rather well too. 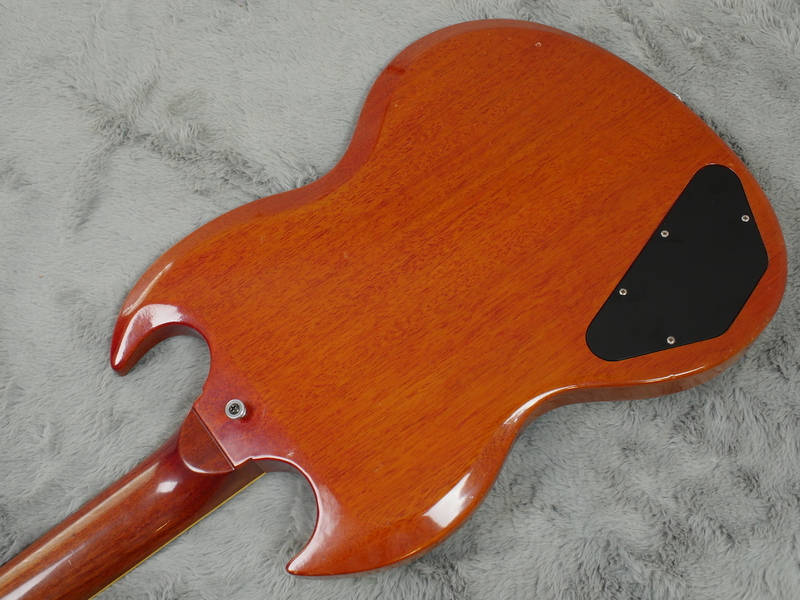 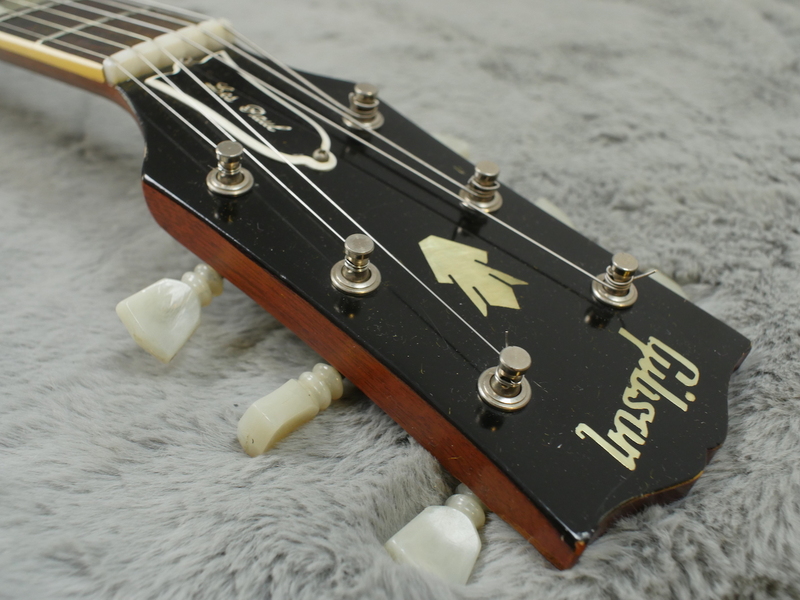 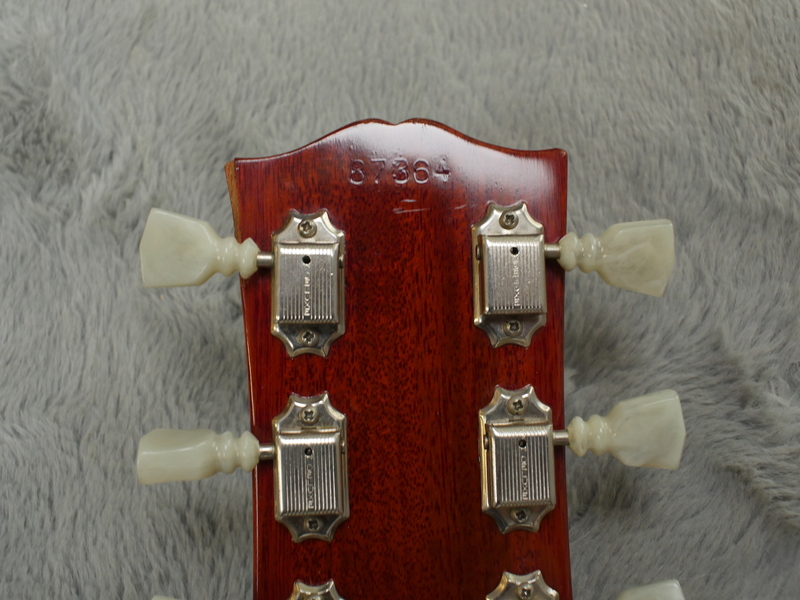 No neck issues, no stress cracks, no headstock repairs or any other funny monkey business going on. 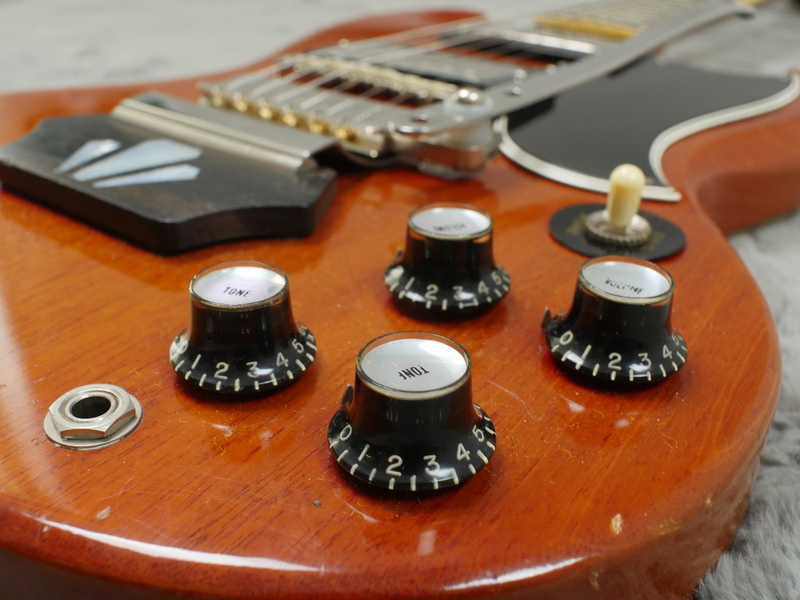 Two superb sounding pickups, one a PAF sticker and one a PAT sticker (1962 was the change over year for these). 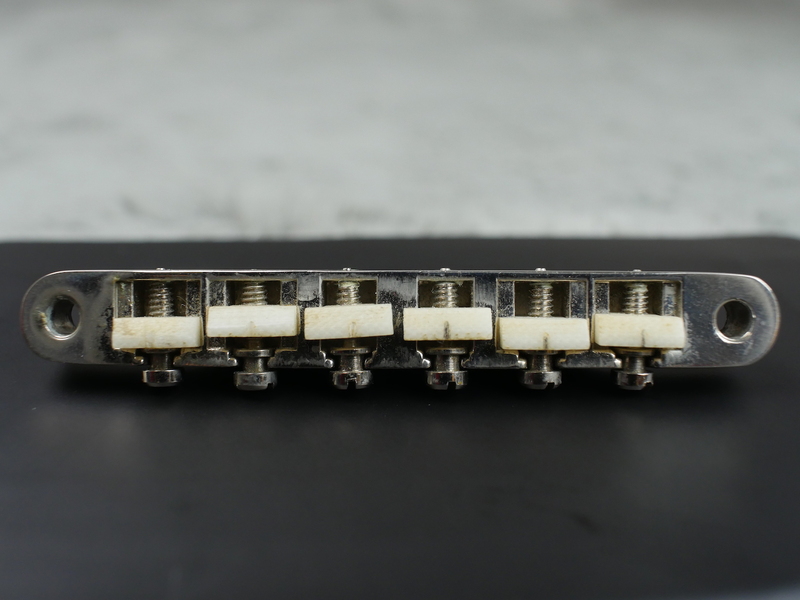 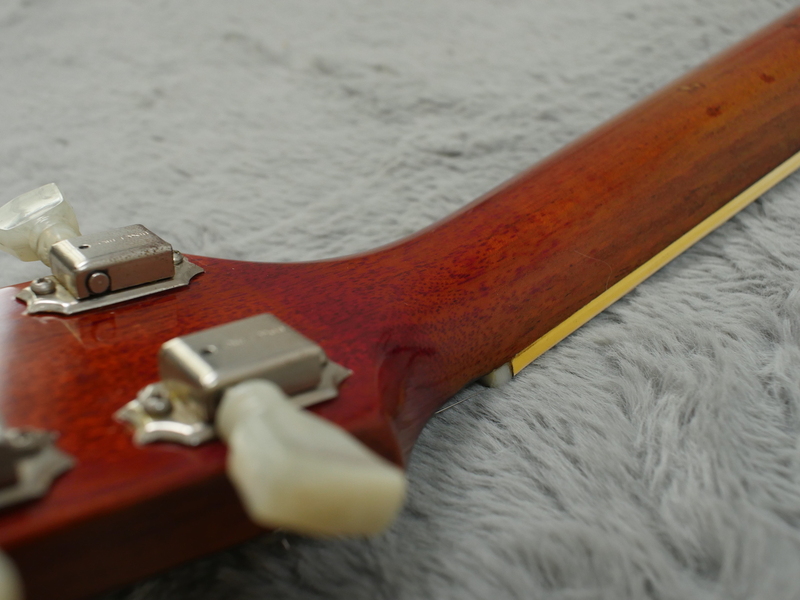 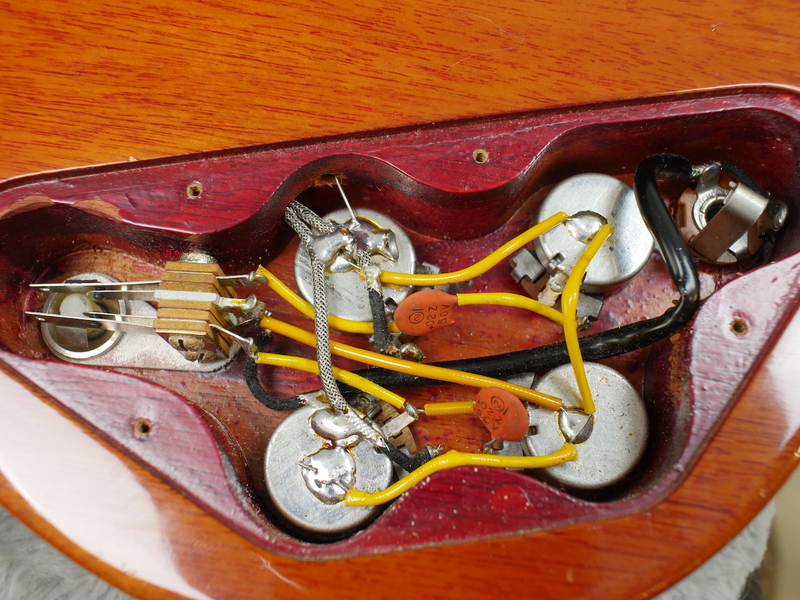 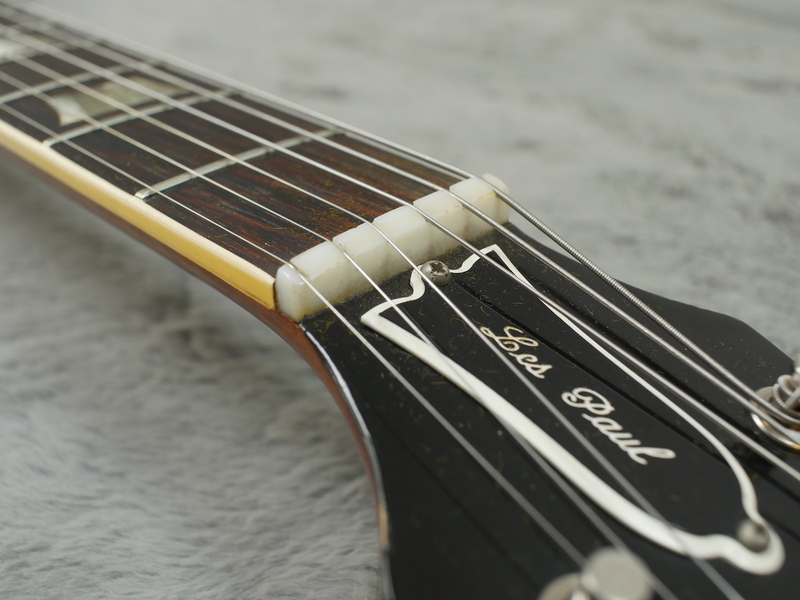 A previous owner decided he would prefer the PAF in the bridge position, even though it is exactly the same pickup, so the pickup positions have been neatly swapped around without disturbing the solder on the pots, or taking the original pickup covers off. 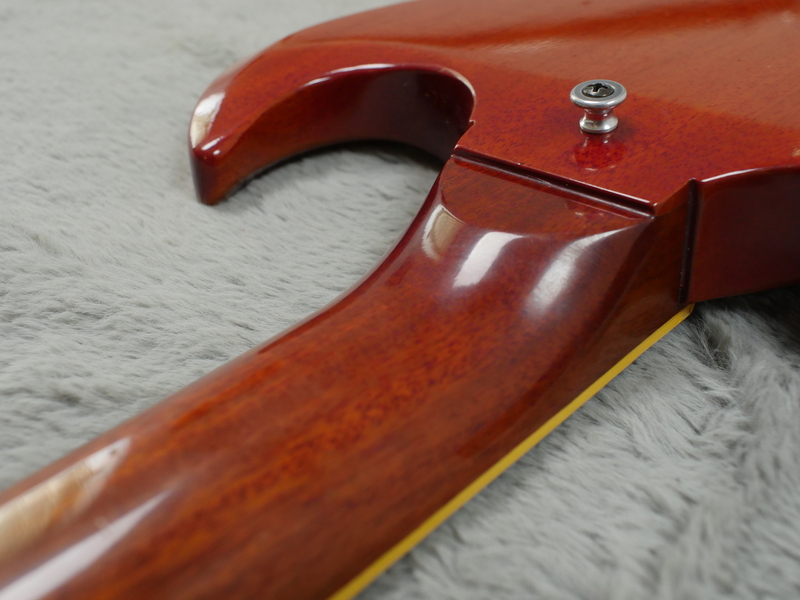 They have however been very neatly snipped and re-joined about 6cm from the base of each pickup. 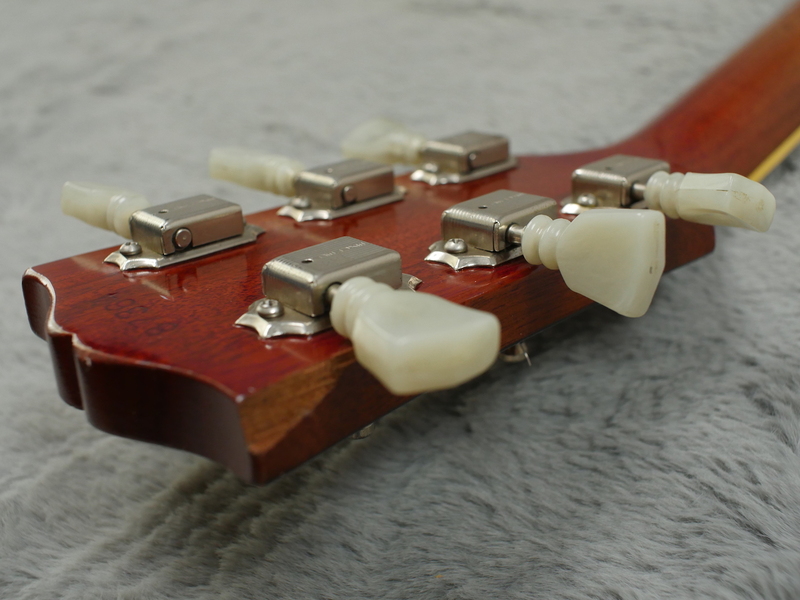 No other issues aside from maybe some replaced tuner tips, they look right but are a little pale. 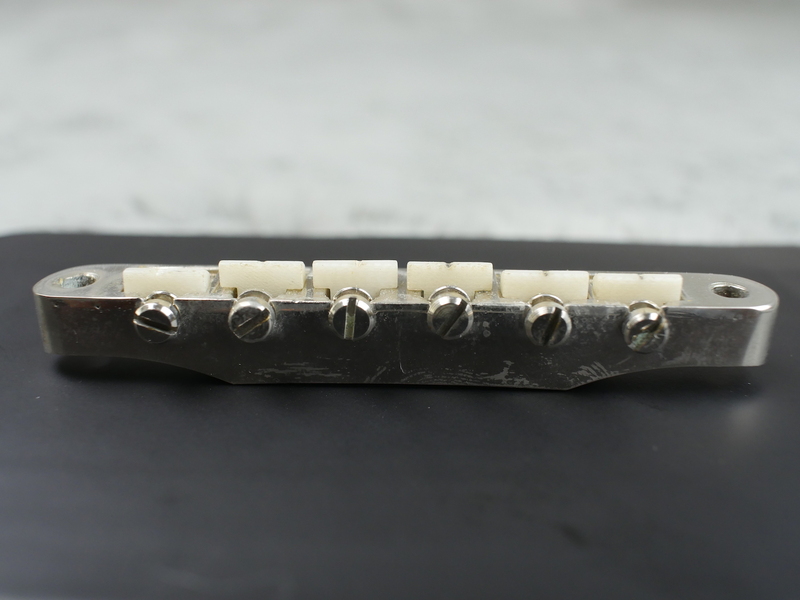 All hardware is correct including the correct no wire ABR-1 bridge with factory ground, roller base for the trem system and also on this one we have the rare to see, factory BONE saddles. 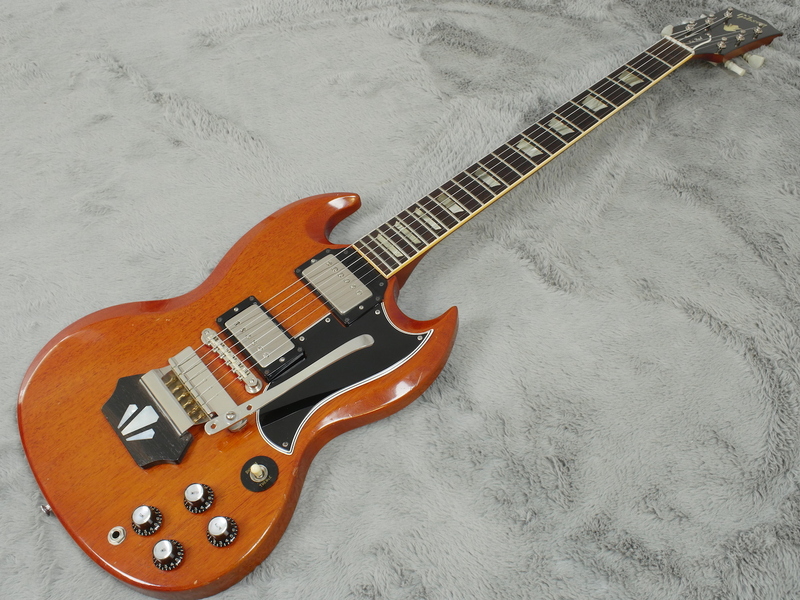 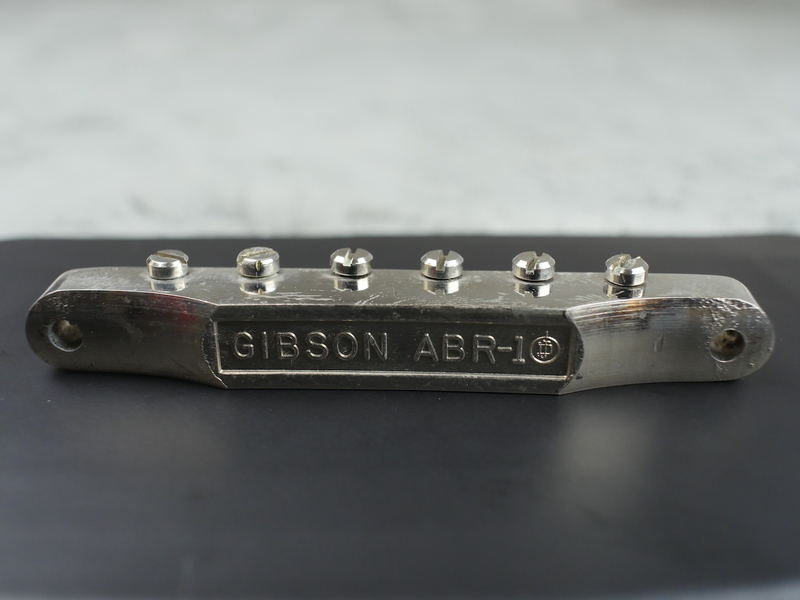 These were only used on a few Gibson ABR-1’s around this period and are a nice, cool and rare treat to encounter giving the guitar a unique, rich tone and bite. 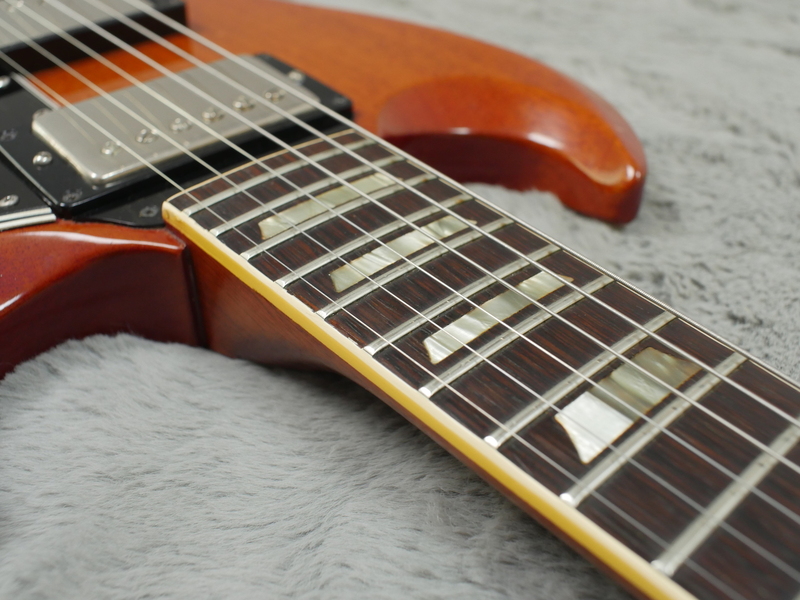 Plays real well on factory frets that still have a lot of life left on them. 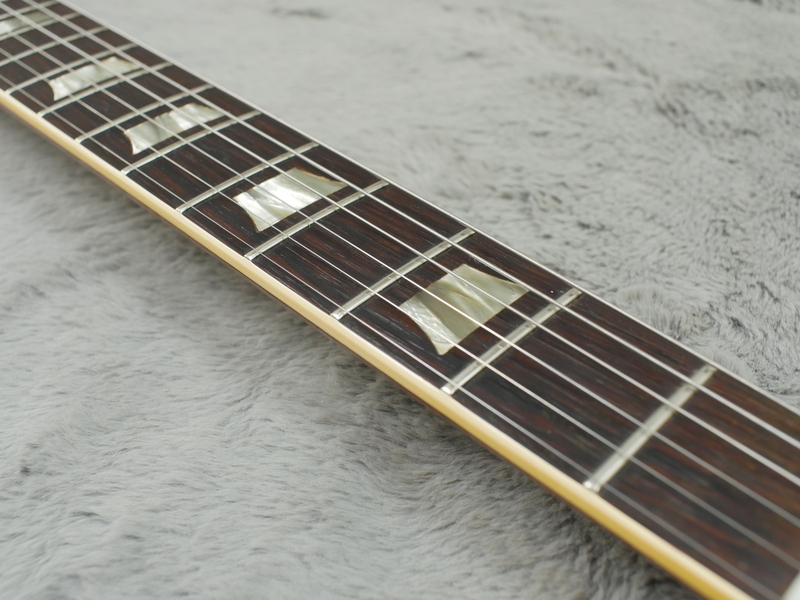 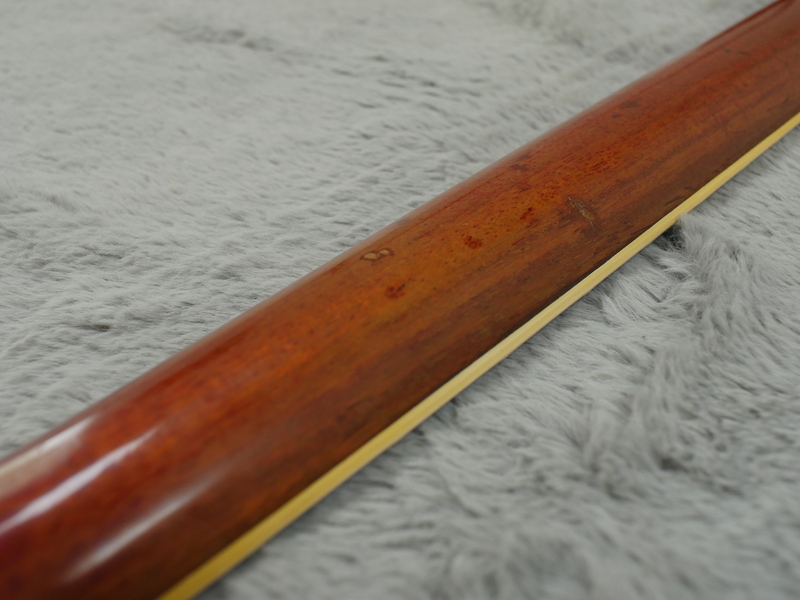 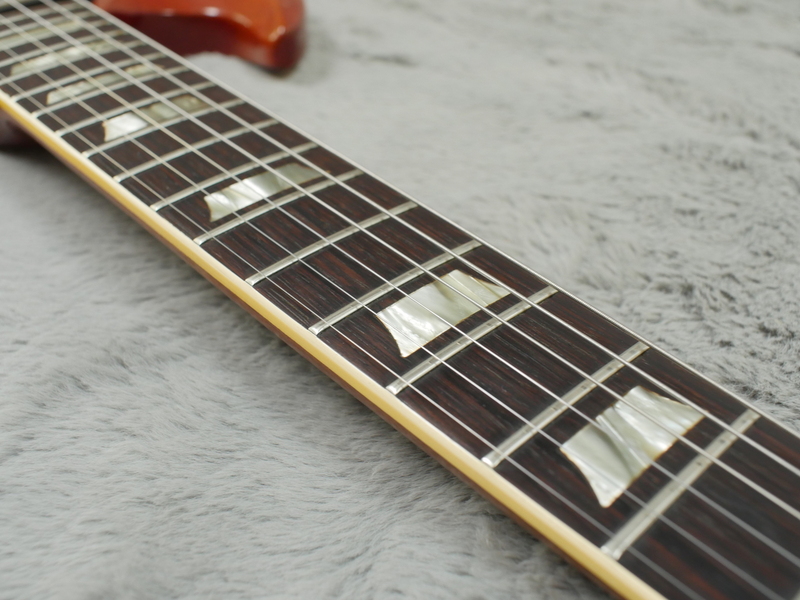 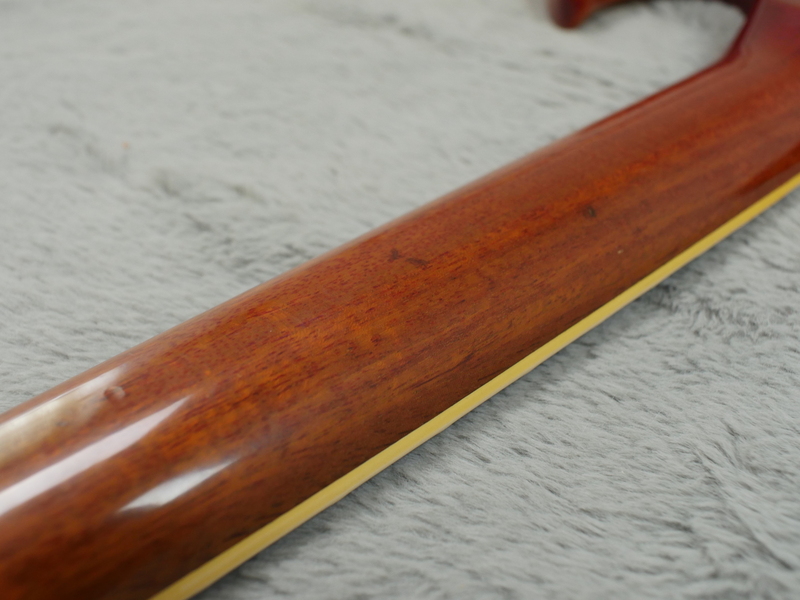 Neck is dead straight and it is a real joy to whizz up and down the fingerboard on this one. 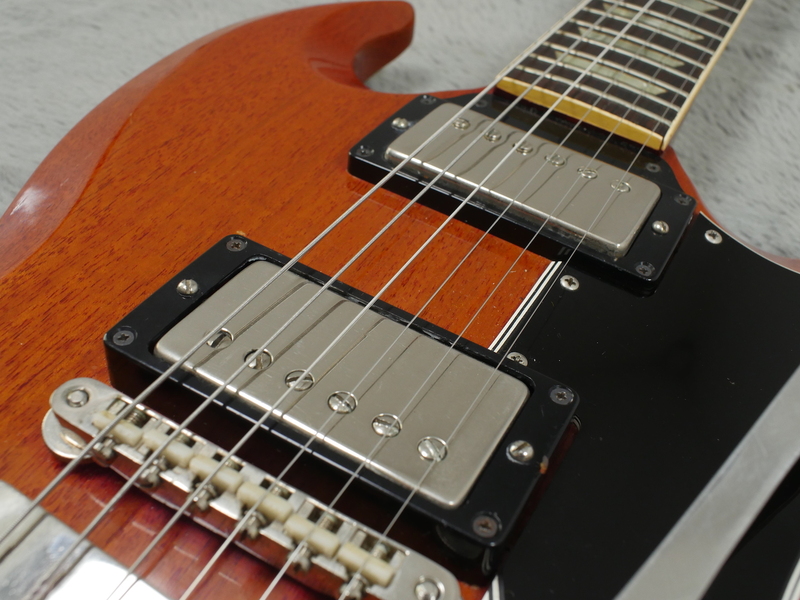 Both pickups are strong, powerful and full of wholesome meatiness. 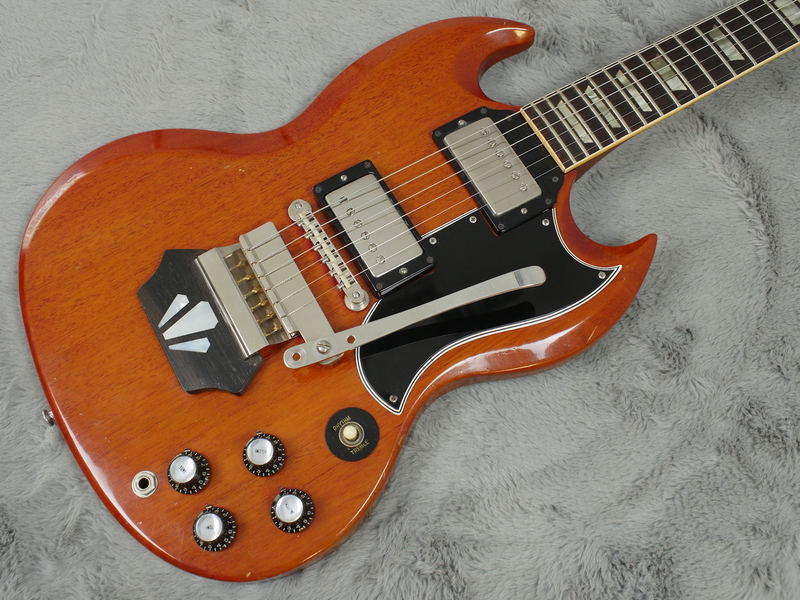 They are both very evenly balanced too and it is a bit of a mystery why anyone would want to swap the positions over. 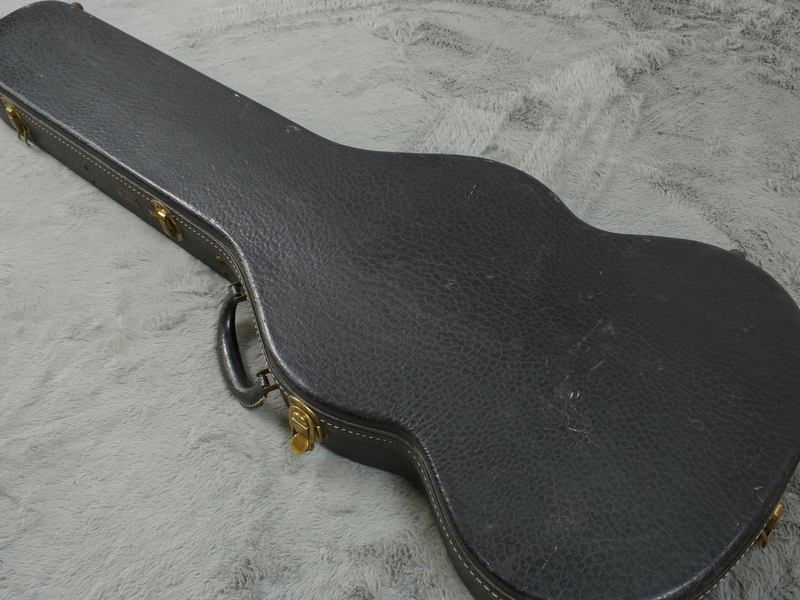 Correct case, like the rest of the guitar, is in excellent shape. 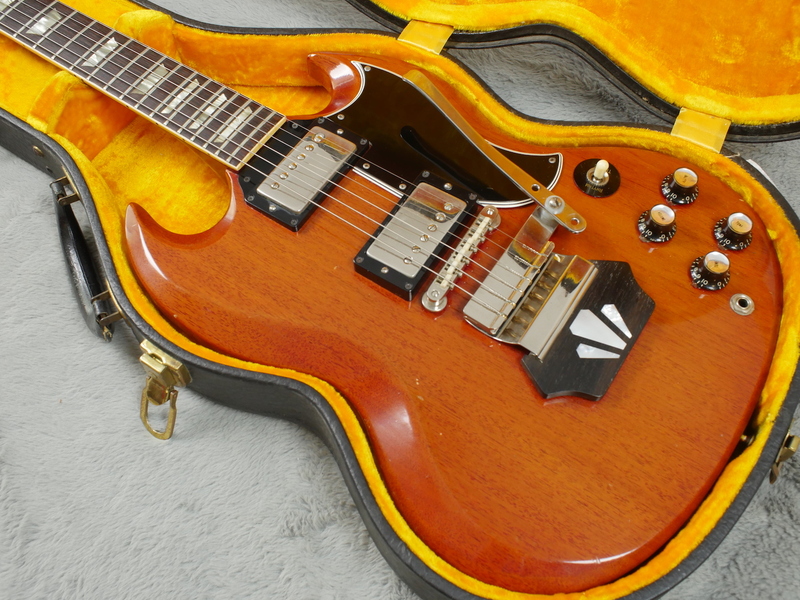 You should really have a look at the pictures and see for yourself the very cool condition this example is in. 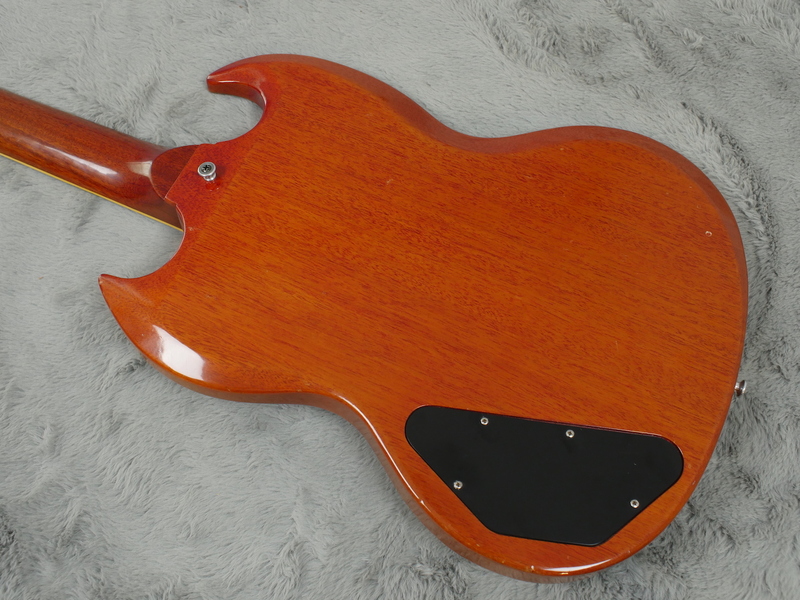 It has faded but it looks brilliant and has very little sign of abuse.